A wild fire lit up the skyline above Loch Fyne last night, burning scrub and grassland to the east of the wind farms. The A83 trunk road was briefly closed as the fire threatened the main transport artery to Kintyre. The Ormsary Estate Emergency Team, equipped with the specialist tools needed to tackle hill fires, joined the local Fire Brigade teams to ensure there was no risk to life or structures. 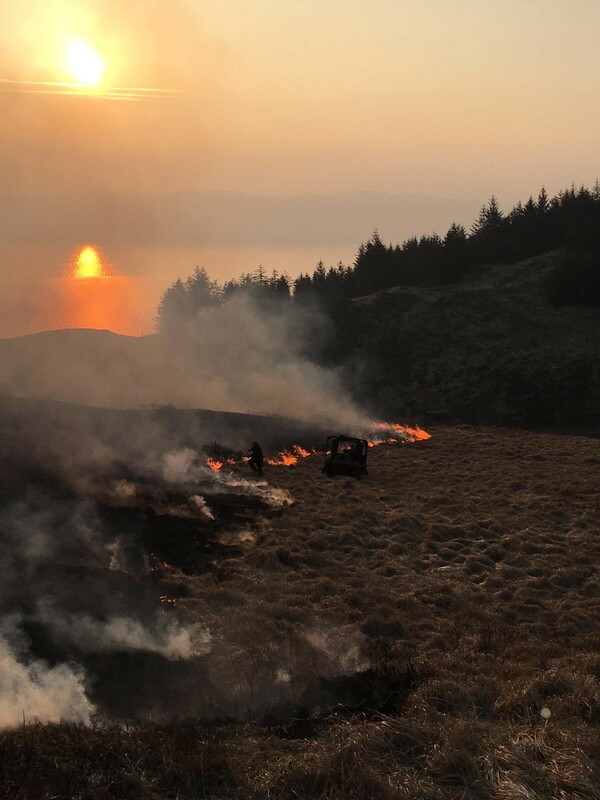 This morning at first light the Ormsary Team set out up the Srondoire hillside and extinguished the blaze as it approached neighbouring tree plantations using an ATV mounted fire pump. 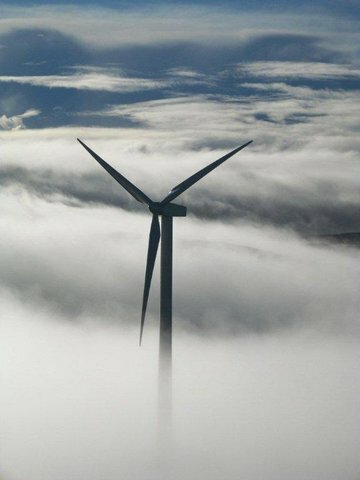 When Sròndoire Wind Farm first connected to the grid, there was a limit on the total allowable export. 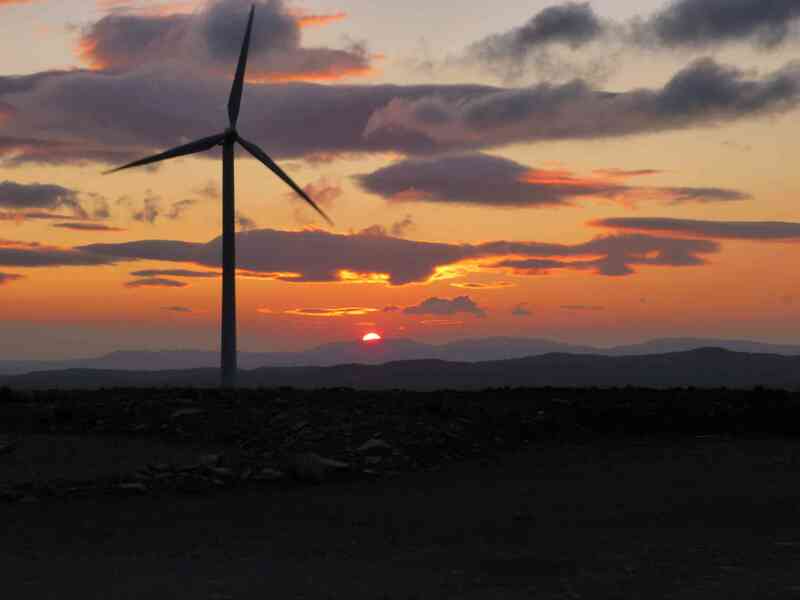 In wet and windy weather, when the 500 kW hydro scheme, which shares Sròndoire's grid connection was at full power, the wind farm was limited to 5.4 MW, around 90% of full output. After several years of complex legal and contractual review Scottish Hydro Power Distribution have removed this contractual limitation, to allow the wind and hydro stations to maximise their production and power exports. 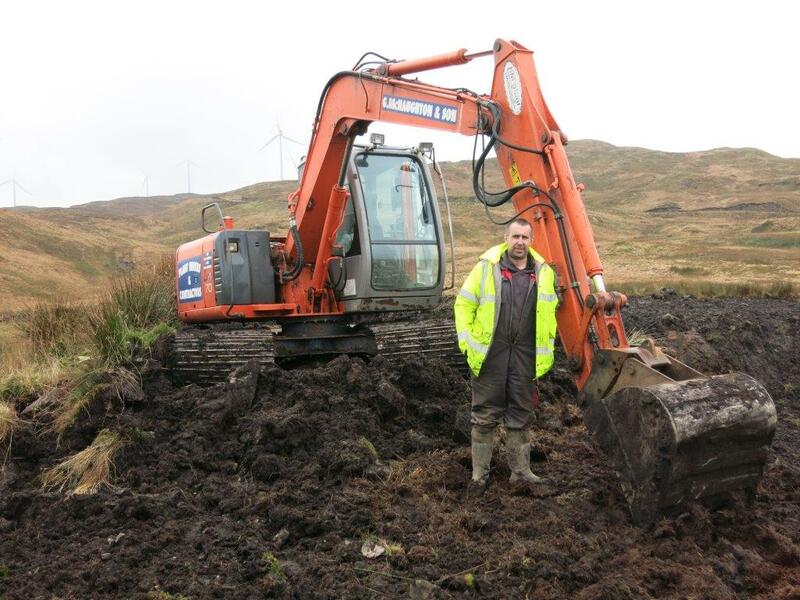 This week Allt Dearg Wind Farm distributed over £135,000 to the Community Trust which holds Ardrishaig’s share in this locally owned wind farm. 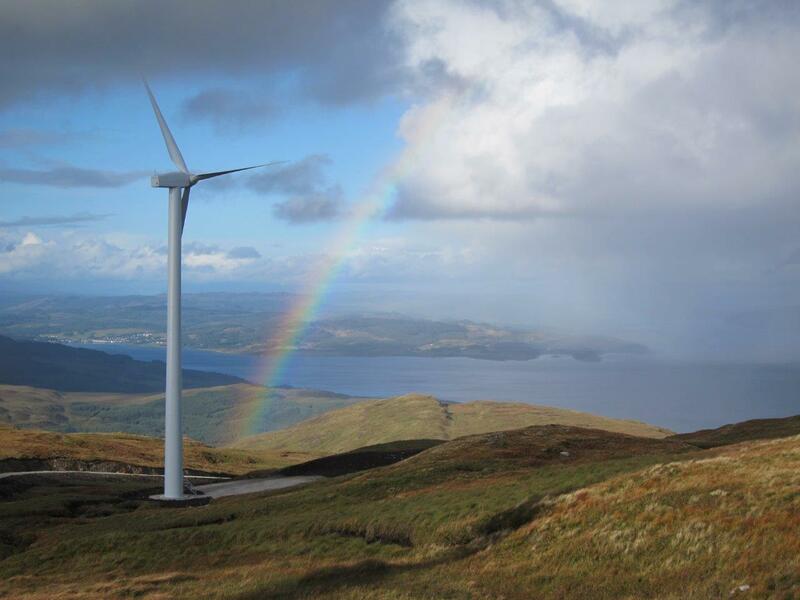 Together with the recent payments to the Tighnabruaich and Tarbert Trusts who hold similar shares in the neighbouring Sròndoire Wind Farm, and the wind farms’ contributions to the local Educational Trust, this brings the total direct community benefit payments from these projects to well over £ 1.1 million. 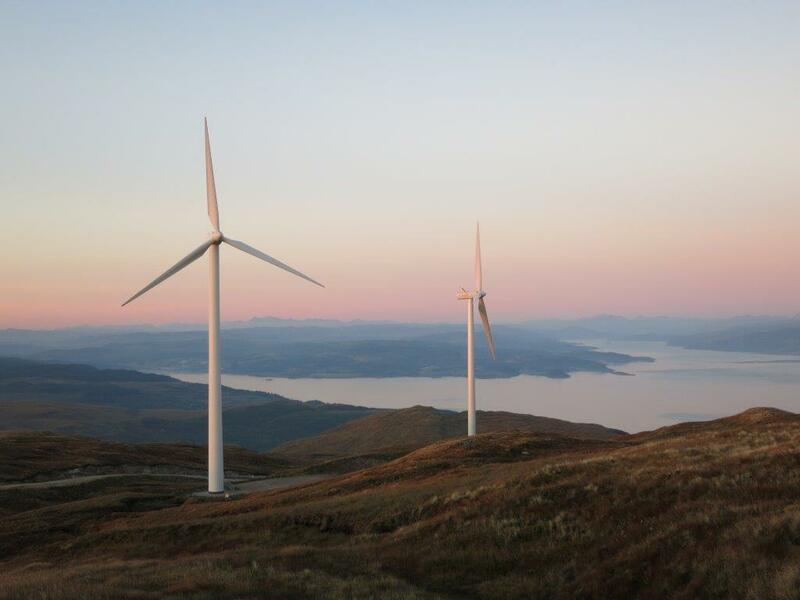 This is a significant milestone for the projects, and highlights the socio-economic advantages of local ownership in wind power; despite its relatively small capacity Allt Dearg is the single largest contributor of community benefit payments in Argyll.